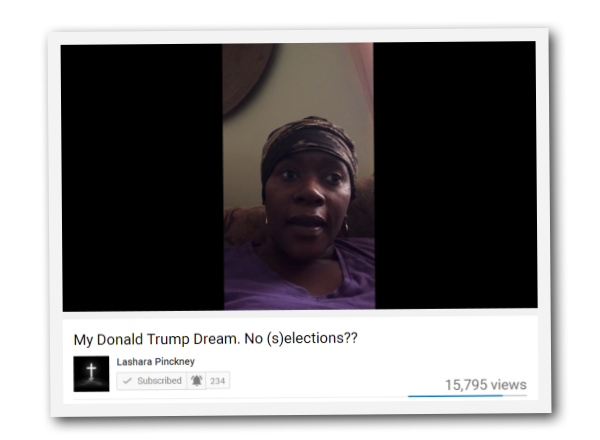 Lashara Pinckney has a prophetic channel on youtube where she discusses the many prophetic dreams she has had. 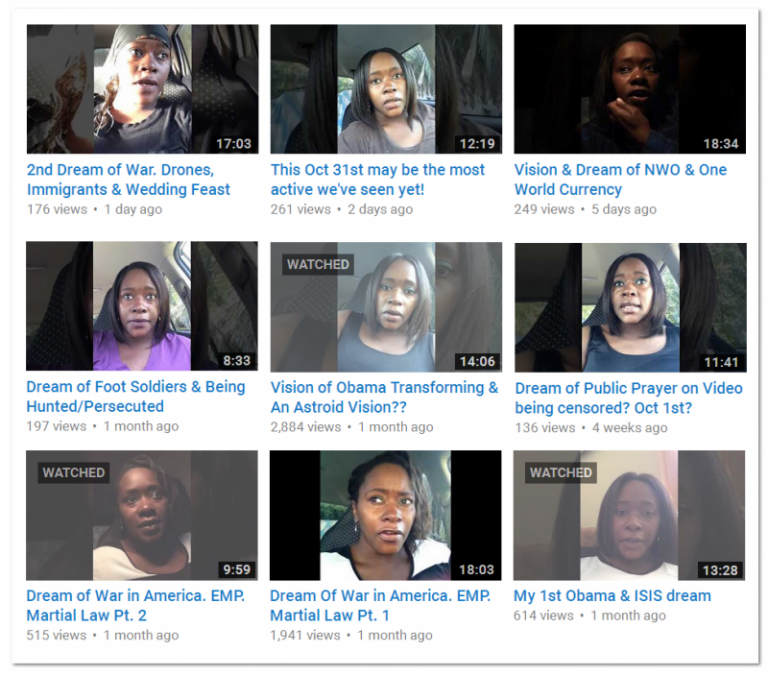 She said she has never dreamed about Obama until she had a series of end times dreams which lasted from 7 days to 10 days. In a particular dream on Sep 13, 2016 she details a dream she had about Donald Trump. She mentions she has never had a dream about politicians before until these series of dreams took place. She mentions having the dream around the July 2016 time frame. She believes in the dream she was located near an overpass where trains were going past. In the dream she was alarmed to hear foot soldier sounds. She believes the sounds of the soldiers were coming from the trains. The train was going across, and she could hear marching in the background which made her feel as though she needed to hide until the marching passed. She then sees Donald Trump who also needed to hide. He ends up moving around, and she was frustrated because Donald was moving around so much that he would give away their hiding location. In the dream, they didn’t get caught. She gets the impression this dream was about Martial law. I don’t know how Trump plays a role, but it seems as though he was also a victim of Martial law. Dreams can be – just dreams, or they can be prophetic. I haven’t watched all of Lashara’s dreams, but what I can see she seems to be seeing some of the same themes other well known prophets have seen as well. 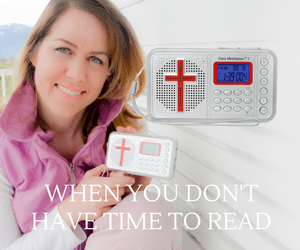 Dream of Public Prayer on Video being censored? Vision of Obama Transforming & An Astroid Vision? ?